We partner with colleges, universities, technical schools and vocational schools from the Atlanta area to offer discounted MARTA Breeze Passes to each school's students, faculty and staff. The University Pass Program (UPASS) makes it easier for you to get to and from your university — cutting down on time stuck in traffic and time spent finding parking. The Breeze UPASS is valid for unlimited trips on MARTA trains and buses all days of the week during the calendar month you purchased it. Although it's technically a MARTA Breeze Pass, UPASS isn't sold at any of our RideStores or on our online store. You'll have to purchase it directly through your university. Call 404-848-4460 for more details. There are two types of University Passes — one for students and one for faculty and staff. Note: Your University Pass is not replaceable or refundable. 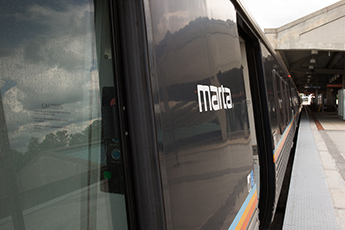 You'll have to purchase another one or another form of MARTA fare if you misplace your pass. Atlanta Metropolitan State College Literacy Action, Inc.
Clayton State University Omnitech Inc.